The first series of three whiskies – the company has hinted that more collections will follow – starts with The Trade Routes Series and the December release of Johnnie Walker The Spice Road, created by master blender Jim Beveridge to evoke the aromas of Asia. Priced at US$43 for a one-litre bottle, Spice Road will be followed by The Gold Route, with tropical flavours designed to reflect the aromas of the Caribbean and Latin America (US$95/litre), due for release in March or April next year. 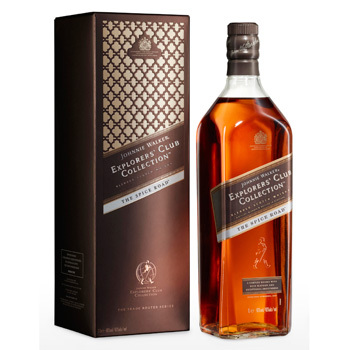 Finally, Johnnie Walker The Royal Silk Route, at US$159/litre the most expensive of the line-up, will hit airport shelves in May or June. Steve White, marketing director of Diageo Global Travel and Middle East (GTME), said the new whiskies were aimed to recalling the golden age of travel and exploration. The new whiskies will be supported by what White called Diageo’s biggest marketing campaign in travel retail “by quite a margin”, including globe-shaped wall bays in shops and pop-up clubs, advertising and other activations. They will sit alongside Johnnie Walker’s core colour series of whiskies, including Black Label, Double Black and Gold Label Reserve. Roland Abella, managing director of Diageo GTME, said the scale of the investment reflected a “big change” in Diageo’s attitude to travel retail, and its acknowledgement of the “fundamental growth opportunities” in the sector.